Performing at the closing night are Veteran musician, 2face, Runtown and Mavins first lady, Tiwa savage. 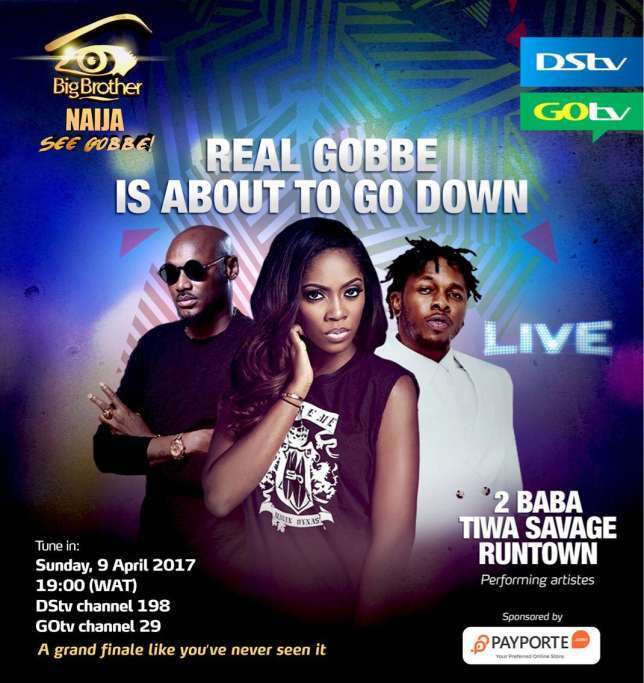 BBN kicked off on January 22, 2017 and will end on April 9, 2017, a night that will produce a winner between Bisola, TBoss, Efe, Marvis and Debie-Rise. It was hosted by Nigerian lawyer and media personality Ebuka Obi-Uchendu, who was a housemate in the maiden edition of the show.